The French client of roboadvisors aka the “five-legged sheep”. In French language “rechercher le mouton à cinq pattes” ( lit. 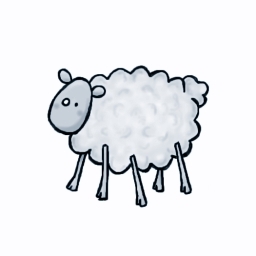 “searching for the five-legged sheep” ) is an idiom meaning searching for something that probably does not exist. I would like to tell that I actually found what I was looking for, the client of a French roboadvisor, but I still haven’t. But no. Still nothing. Still no client met. Impossible to find one. Neither from Yomoni, Advize, FundShop, MarieQuantier, WeSave… No a single one*. Yomoni was claiming around 1.500 clients at year end 2016, which seems good, but those 1.500 people seem to never bump into me. *(to be honest I finally met one after publishing this post). I must however insist that I strongly support the underlying principles of roboadvisors. They do bring a clear progress for retail investors, who should really inform about them and try them. First they can push large retail banks into drastically improving their retail asset management services, which are obsolete, mediocre and expensive (or should I say outrageously expensive ?). Passive funds, ETFs, diversified allocations… this is all good, and I cannot be more in phase with them on the use of those modern an progressive concepts. Then why ? Why is it so hard to find one of their clients ? Their is a causality uncertainty here. Is this client rare because he did not understand yet that this service is right for him, or is he rare because he actually does not need it ? He is tech-friendly. At least he knows or can learn quickly how to open a online bank account/life insurance. He is therefore probably younger (it does excludes a reasonable part of people over 50 and the great majority of retired people in France). He is confident in online security and cash transactions. He is ready to transfer money over internet for large amounts without ever meeting anyone from the receiver’s side physically. This might not be easy for a lot of people. He has money to invest. This implies that he earns enough to save, which means he is probably from higher social classes, and have higher revenues. It also implies that his potential mortgage does not absorb all of his saving capacity, ie. he did not yet buy his residence, he does not want to or he already repaid all his mortgages. But not too much ! This for various reasons, the first of which being quite simple : this might change, but transferring 500.000 € to a startup you found on the web is not an easy thing. This is not rational this about confidence, which is often wrongly granted I admit. Between a dishonest banker and a sound roboadvisor the choice should be quick, but is it actually not. He does not have too much money (again!). Being managed by a robot is being managed like everyone else… and that is just not enough for a lot of people. Private banking is still sold as a luxury service, a closed club, an external sign of wealth. Roboadvisors are selling for now a very retail service which is repulsing clients searching the social status of private banking. Of course they are right, and everyone should definitely choose its investments on a pure rational, financial (or social) based, strategy, but this is not the case. The roboadvisor client is therefore probably more retail, which means he very grossly owns less than 100.000 € to invest. He does not have too much money (finally!). Financial assets starting at 100.000 € are linked already to numerous fiscal and legal issues, especially in France, a countries with very complex tax and legal system. Clients need personal advise that a roboadvisor cannot give. Advize understood it quickly by offering hybrid advising (as Vanguard or Schwab in the US). To be suited for pure roboadvisory a client must therefore have a very simple fiscal and personal situation. He believes in the possibility to successfully invest in financial markets. This sounds ridiculous but French people are culturally very defiant about financial markets. They have a huge bias against it and invest the bulk of their savings in real estate. The roboadvisor client have to sign some paper were he agrees that losing 5%, 10%, 20% or even more is acceptable. A lot of French people prefer the reassuring illusion of never losing anything in a small and mediocre real estate investment than this. But he should not be too much interested in those markets either ! One of the roboadvisor’s principle is that the client cannot do anything, it is automatic. Those who are deeply invested in their investments want to keep control of them, to DIY somehow. They will probably not be interested. They might seek advise but will not give up management. He must be aware and understand the difference between a roboadvisor, an online managed investment account and his retail bank. “Believe me you will make a lot of money with ETFs, a diversified asset class allocation and automatic rebalancing…” this is kind of obscure for a lot of normal people. The client will therefore probably have a sufficient knowledge of modern financial markets. Finally his assets are not blocked someplace else. French life insurance policies have tax specifications that make closing them to go elsewhere often difficult. Others accounts are flat out blocked for a long time (PEE, PERCO)… They might be transferable but this is always long and tedious to implement. If he invested in a non liquid investment (say venture or real estate for example), the money is not available either. Ouch. I understand a little better why finding him is not that easy. He might be very rare in fact ! Surely some of those conditions might, will, disappear. But this could take a lot of time. One should recall that online trading accounts has existed for long now, and , despite how good they are for retail investors (and others), clients still have difficulties adopting them. Human relation is reassuring, and full digital uneasy when real money is on the table. Now I shall invite French roboadvisors to widen their potential client base by make it less selective. In particular it is time for them to think about this : what does my technology really improve for my clients ? Use of ETFs or diversification are very good for them indeed but they have absolutely no tech value, they create no moat. Their service allows more modest investors to access financial markets, this is true… but do they really need it ? So they now need to find ways to make their services useful and attractive to more wealthy clients, which is not easy. This implies climbing the second step of roboadvising: aggregation of all accounts, automated fiscal and legal advice, and linking together all of this. But this is a huge technological step ! Might have a few ideas on how to get started on this though. Previous Previous post: Active and passive management, where is it going to end ?